It’s that time of the week when we check in at the UK box office and the top 10 films. Disney’s Christopher Robin starring Ewan McGregor remains at number one for a third week managing cinema takings of £1.1m. There are two new releases that make it into the top ten, one of those is the drama Searching. 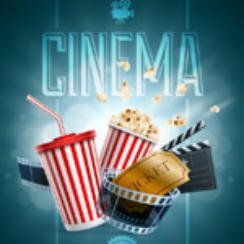 Let’s take a look at the film charts in a little more detail; here are the figures for the UK Cinema Charts 31 August 2018. Musical Mamma Mia: Here we Go Again! seems to be stuck in the number two slot as it remains there for yet another week whilst managing to take £976k from 621 cinemas and gross to date figures of £61m after seven weeks on release in the UK no doubt making Universal Pictures very pleased. Spike Lee’s BlacKkKlansman climbs from six last week to three this week, it was helped by being shown in more cinemas, 384 as opposed to its opening week’s 217. Jason Statham’s The Meg slips one place to four whilst Incredibles 2 drops two places to six. The highest new entry this week goes to the drama Searching which enters at number five managing £765k from 401 cinemas. Melissa McCarthy’s black comedy, The Happytime Murders is another new entry landing in the number seven spot earning £694k from 500 cinemas. Crime, drama Yardie directed by Idris Elba fails to break into the top ten and has to settle for number twelve and takings of £438k from 225 cinemas. One film that has failed to impress audiences is the comedy film The Spy Who Dumped Me starring Mila Kunis and Kate McKinnon. After just two weeks on release it drops out of the top ten falling from six to fourteen and takings of just under £231k from 423 cinemas. Some of the best deals around at the moment are listed below including an LG Bluray player for around £50. If you prefer Sony you can pick up the Sony BDPS1700B for around £70, whilst if your budget will stretch a little further you can pick up a 4K Ultra HD Blu-Ray Disc Player for around £150. That just abouts concludes our look at the top 10 box office movies this week (UK Cinema Charts 31 August 2018), come back next week to see whether Disney’s Christopher Robin can hold on to the number one spot on the UK Top 10 Film Charts.